Francois Giboin 22yo (44.0%): Cognac..! 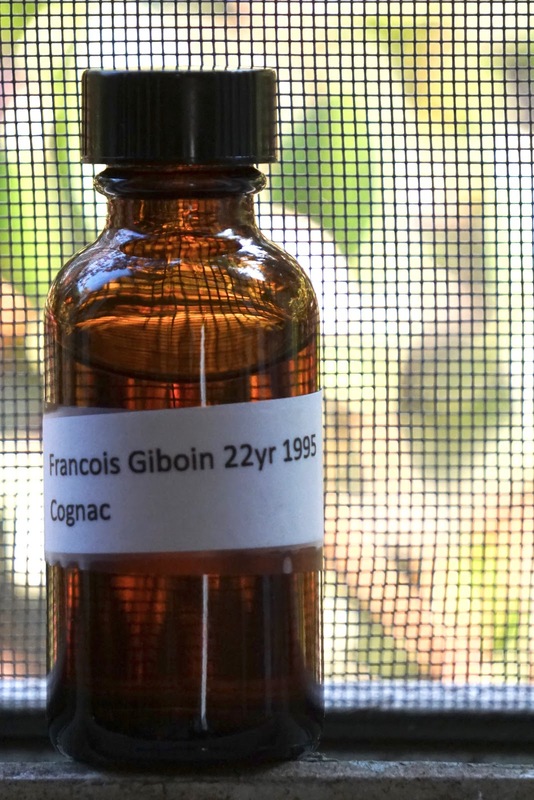 I don't taste a lot of Cognacs here on the blog but I have a few waiting in my sample yard... So, excited to spend some time with this beauty. Giboin Family produces Cognacs on their small estate rich with clay and flint stones in Borderies called l'Hermitage since 1830 using only ugni blanc grapes. Francois Giboin is the sixth generation producer of the family and they distill only six to eight barrels every year maturing in cellars partially underground dug into the gypsum soil. Besides releasing their Cognac under their own label Giboin also sells their matured brandies to Courvoisier. Color: Clear, light amber, polished copper color with not distinct but very slow moving oily legs. Nose: Apricot jam, candied orange peel and orange blossom honey... Mouth watering. Peanut brittles, creme caramel and nutmeg dusting. Ripe black plums and crystallized ginger candies. Palate: Figs and dark plums. Warm croissants, butter and bread crust. Green tea, gentle smoke and orange zest jam. Sweet but not sugary... Ripe fruits and dark honey. Marzipan, clotted cream and bitter almond cookies. Finish: Medium with light cinnamon and nutmeg. Chocolate flavored pipe tobacco and latte. Overall: Such a beautiful easy drinking but layered Cognac. Sweet but not too syrupy filled with country style marmalades, candied fruits and fresh cream. I should taste more Cognacs from small producers. There is so much more to learn about it... Thanks to Derek Kendzor for the sample and to Florin for corrections..